Vehicles are often impounded when they are determined to be abandoned. By city ordinance, a vehicle which is parked on a city street in excess of 48 hours without being driven is deemed abandoned and may be impounded. Vehicles which have two or more delinquent parking tickets are eligible to be impounded. Vehicles which block or otherwise endanger or impede traffic are subject to being impounded. This includes vehicles commonly referred to as "snowbirds." These are vehicles which are left parked on the streets after winter storms and inhibit the removal of snow from the city streets. The police department may impound a vehicle when the driver is under arrest, when the vehicle is going to be searched or when the vehicle itself is evidence of a crime. The police department often places a warning tag on vehicles or attempts to contact the registered owner when impounding abandoned vehicles, or vehicles found to be impeding or blocking traffic. This is a courtesy and is not required by ordinance. Based on individual circumstances, some impounds may occur without advance warning and failure to provide a warning will not normally result in the city waiving the impound or storage fee. Fargo Moorhead Towing is the city's contracted towing service. All vehicles impounded under the authority of the police department are stored at the city-owned impound lot located at 715 17th St. N.
You can contact Fargo Moorhead Towing at 701.850.7347 to arrange for the return of your vehicle. Fargo Moorhead Towing is open 24 hours a day, 7 days a week. Fargo Moorhead Towing employees will provide you with all the necessary information to get your vehicle returned. This information will often include impound and storage fees, directions to the impound lot and any additional paperwork you might need, such as driver's license, registration, title, proof of ownership and insurance information. The minimum towing fee is $90 with an additional $10 release fee. A $20 per-day storage fee is charged with the storage fee being accrued on the first day of storage and includes the day of release. Additional charges may be incurred depending on the size of the vehicle towed or whether additional equipment was used to tow the vehicle. All fees must be paid prior to the release of the vehicle. The fees will include all towing and late fees. After speaking with the employees at Fargo Moorhead Towing, if you have questions as to why your vehicle was impounded or wish to contest the impound, you may contact the Office of Professional Standards and Internal Affairs at the Fargo Police Department 701.476.4189. 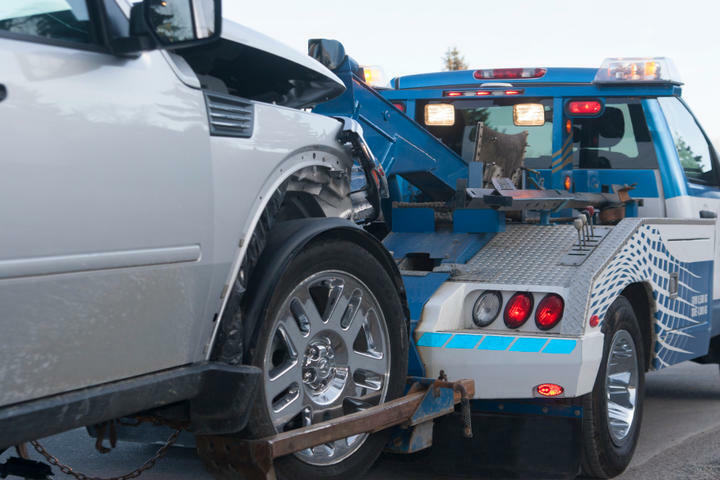 The assigned sergeant will investigate the reason the vehicle was impounded and has the authority to waive or reduce towing costs and storage if the vehicle was determined to be unfairly impounded or if other mitigating or extenuating circumstances exist. Vehicle owners who are not satisfied with the decision of the Office of Professional Standards and Internal Affairs may pursue civil action. The police department does not tow vehicles from accident scenes unless the department has a reason as described above (abandoned, blocking traffic, driver under arrest, etc). However, if the vehicle is not drivable or the owner is not able to drive due to injury, we will contact our towing service or a towing service of the owner's choice for a private tow. Private tows will result in the towing service either towing the vehicle to a private lot or to a location the owner specifies for a fee. Often your insurance company will either pay this fee outright or reimburse the owner for the cost. Please check with your insurance company to see when they pay for towing.